You know about huge waves and dramatic storms on the Oregon Coast in the winter. But did you know that even in the rain or frequent sun breaks, the winter is an ideal time to take a walk amidst wild mushrooms and giant Spruce trees, or ride a horse along rocky bluffs and windswept dunes? Here’s our guide to 7 magical winter adventures on the great Oregon Coast. Take the lush, pleasant stroll (5 miles round-trip) at Cape Falcon in iconic Oswald West State Park. 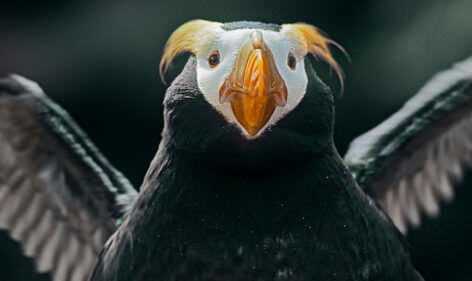 At trail’s end are viewpoints often affording glimpses of migrating birds and gray whales. The cliff-top visitor center at Cape Perpetua is ideal for parking your car and choosing opportunity via five trails, including beachcombing, gazing up at a big Sitka and feeling nostalgic in a historic shelter. 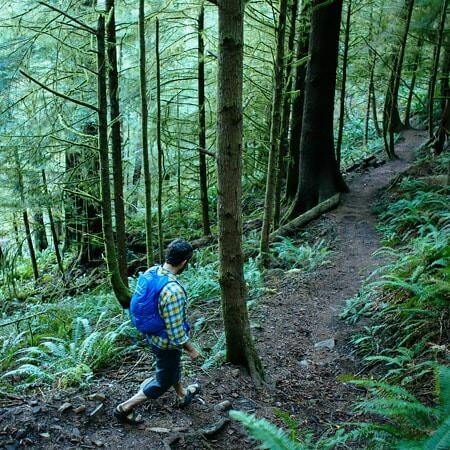 Winding through a forested knuckle of green between two long stretches of sandy beach, this 1.5-mile trail at Cape Sebastian offers amazing vistas, a good workout and potential for beachcombing (low tides only) and bird and whale watching. At Haystack Rock in Cannon Beach, there are a myriad possibilities of finding all sorts of salty critters in this well-known gem of a park, best visited during low tides, revealing all sorts of exciting gastropods, cephalopods and bivalves. Haystock is a protected Marine Garden, though, so look — don’t touch. 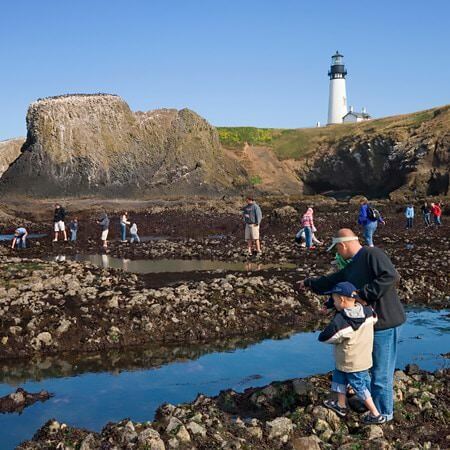 Both sides of this picturesque promontory at Yaquina Head in Newport are home to a wealth of sea life; it’s not uncommon to see whales while you are exploring the rich tidal habitats. Mosey among the interesting rock formations here on Bandon’s waterfront hub of nature at Coquille Point, easily accessed by wooden staircase; the intertidal zone is chock-a-block with starfish, crabs and anemones. 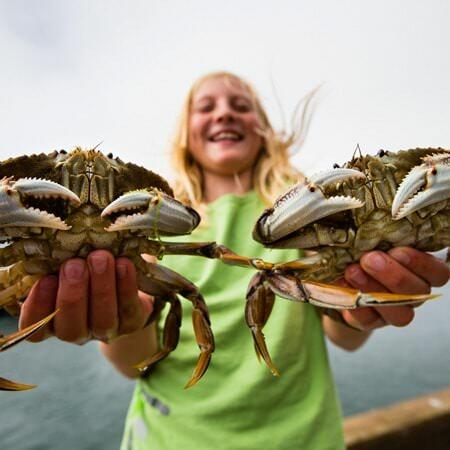 Tillamook Bay, a catcher’s-mitt for five rivers, hosts world-class winter crabbing opportunities, whether you harvest from the marina docks, your own pots via boat, or on guided tours courtesy of Kelly’s Brighton Marina. 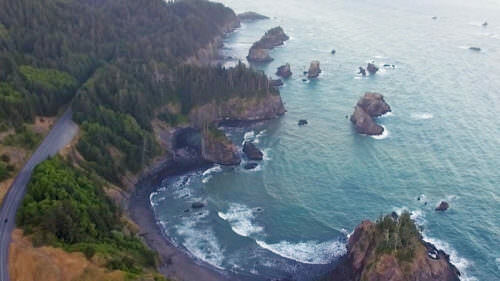 Yaquina Bay in Newport is Oregon’s coastal fishing capital, and with that includes crabbing of Dungeness and Red Rocks to your heart’s content, from a boat or the dock. Crab pots and boats can be rented from four Newport charter companies. In Manzanita, let the fine folks at Oregon Beach Rides help you voice your inner giddyap with their options of one-hour or two-hour beach/dune trail rides at Nehalem Bay, a wildlife-viewing hotspot. While horses might not typically be your first thought concerning the great Oregon dunes region, C&M Stables, just north of Florence, would like to introduce you to their suite of ride options, from corral to the water’s edge. 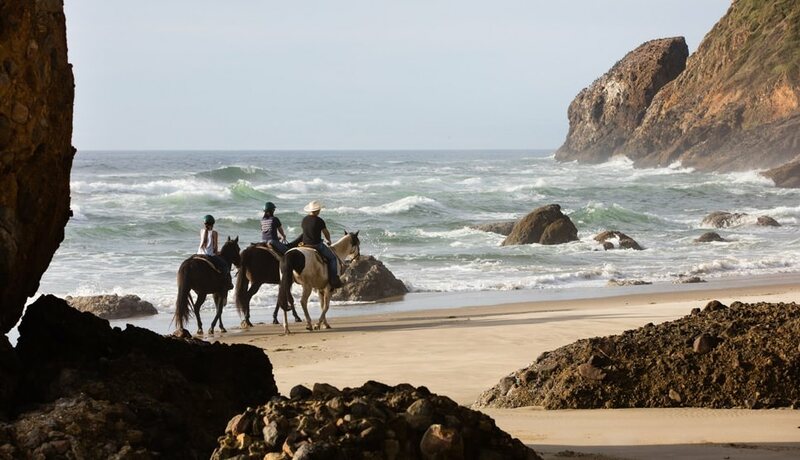 On a piece of coast appearing custom-made for epic horse rides, the crew at Hawk’s Rest Ranch at Pistol River, on the Southern Coast, offer several ride options and horses in this region’s treasure trove of ranchlands, dune fields and scenic beaches. Water sports aren’t just for summertime. 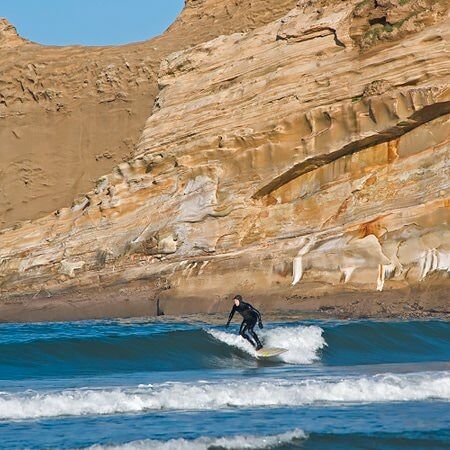 Try your first lesson at Cape Kiwanda beach, Oregon’s most popular for surfing. Visit Moment Surf Company for the lowdown. On the Central Coast it’s easy to kayak in Newport’s waterways, including Yaquina Bay and Beaver Creek. Year-round, visitors come here looking for solitude, wildlife-viewing, scenery and outdoor winter exercise. Ossie’s Surf Shop offers daily tours in five locations. You don’t need an ocean to try surfing; just a lake and some wind — and the friendly instructors at Floras Lake, who specialize in kiteboarding and windsurfing lessons, plus rental gear, including kayaks and SUPs. There’s a sweet on-site B&B, too. 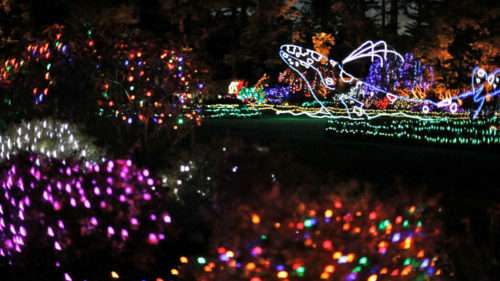 Winter festivals on the Coast are truly unique, highlighting the quirkiness of each region. In the quaint and gorgeous town of Yachats, the geology of the region is on display at its sixth-annual Yachats Agate Festival (Jan. 19-20, 2019) featuring engaging displays and incredible agate specimens, plus all sorts of local minerals, gems, crystals and fossils. There will also be special talks and demonstrations. On the Southern Coast, check out Bandon’s Gorse Blossom Festival (Feb. 15-17, 2019), showcasing films from the Oregon Coast Film Festival on Friday, with a winemakers’ dinner on Saturday, plus wine, beer and seafood from 50 vendors. 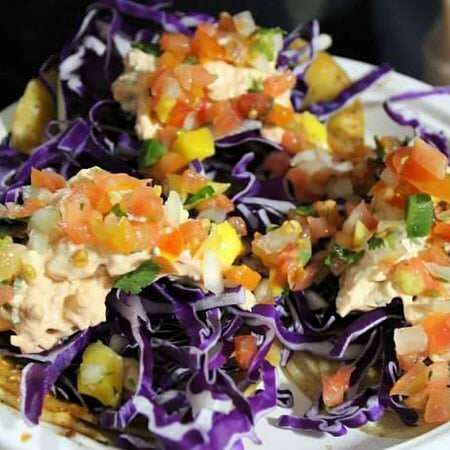 Sunday is the fun run, a crab feed and more. 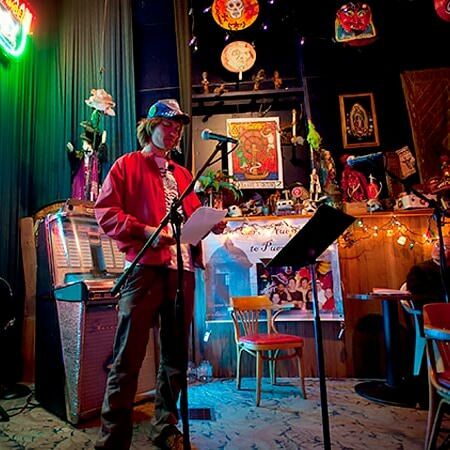 And each year since 1998, Astoria has hosted its unique and famous FisherPoets Gathering (Feb. 22-24, 2019), combining the sea with prose, poetry and music, attracting widespread accolades and large artists and audiences. Since 1978, Newport swells with excitement for the Newport Seafood & Wine Festival (Feb. 21-24, 2019) as nearly 25,000 visitors gather inside a 50,000-square-foot tent venue, hosting scores of — you guessed it — wine and seafood vendors, much of them local. Beer lovers rejoice for the Pouring at the Coast craft beer fest (March 14-17, 2019) at the Seaside Convention Center, featuring more than 30 Oregon breweries plus wine and local food vendors — starting with a brewer’s dinner, ending with a homebrewer’s contest.